ITIL, also known as the Information Technology Infrastructure Library, is the global standard for IT best practices. Each stage of the entire ITIL Service Lifecycle provides value to the business. 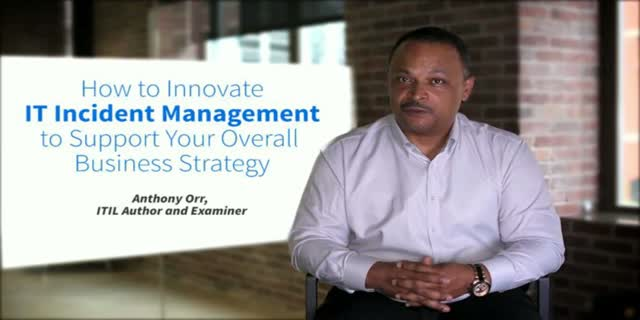 In this short webcast, ITIL v3 Master Anthony Orr discusses the Incident Management process as it relates to overall business strategy. He discusses the do's and don'ts in planning your Incident Management strategy. Learn best practices from ITIL from Author and Examiner Anthony Orr.